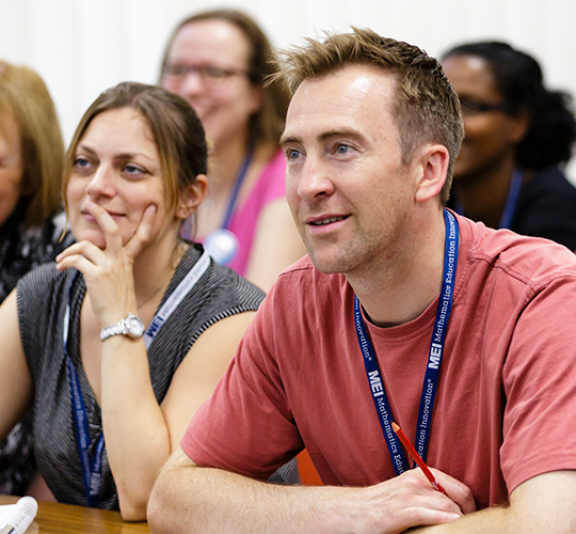 Two twilight CPD events for teachers who are new to teaching mechanics. This course may also be suitable for teachers of the higher GCSE who wish to broaden their knowledge. This course is for teachers who have not previously taught mechanics. It will cover the key topics of motion and force which underpin the mechanics content of the new Maths AS/A Level. To introduce the fundamental concepts of motion and force. To strengthen teachers understanding of the content required in the linear AS and A level mathematics specifications. To explore and discuss teaching ideas and resources which deepen students understanding of these concepts. Teachers who are new to teaching mechanics. An introduction to forces: understanding vectors and drawing force diagrams. Newton’s laws of motion: an introduction to the laws and their applications. Motion-time graphs and the language of mechanics. Constant acceleration: deriving equations and making links. The sessions are designed to complement one another, and it is strongly recommended that delegates attend both in order to get a full overview of the basic concepts. However, it will be possible to only attend one session; if this is your intention please make this clear at the time of booking. Prior knowledge of GCSE Higher Tier content and a working knowledge of AS pure mathematics is desirable, but not essential. However if a delegate fails to attend or cancels their booking with 5 working days of the event a charge of £30 may be made to the relevant school or college. on Monday 24 June and Monday 1 July 2019.